Do you like planning ahead? Did you ever imagine planning your complete year. Did you tried anything like that before? Then here is a post from my blog on Bullet Journal the concept of planning. In today's digital world with mobiles and apps writing something on a paper became a rare thing. This concept of Bullet Journal is interesting which is a method of planning by writing it on a book. A Bullet Journal is an Yearly Planner, to do list, habit tracker, and you can have an year ahead of your goals and your entire plan. This helps you to do things on time without any hurry. The Bullet Journal is an analog system in this digital world by Ryder Carroll. It helps in being organised and planned. To write a Bullet Journal you just need a pen and a book. If you browse Pinterest or Instagram you can find lots of colourful images and doodles. Newbies get overwhelmed by seeing that. But it is all the extra decoration for a new look. Index: Leave the first page for Index. As you start writing, number the pages and note the page numbers in Index page so that you can easily check what is in a particular page. Monthly Log: Write down your goals, tasks challenges and note important dates for each month. Weekly Log: Plan your week ahead. Create a weekly spread page and plan what you do in a week. Daily log: Write down your to_do list. It is called rapid logging. Just write down what you want to do that day. Habit tracker: You have some daily habits which you want to track. You can have habit tracker page. This method of planning a year ahead makes you completely organised and helps you complete the tasks and reach your goals in time. Sri Siddhi Vinayaka Temple , Zaheerabad. 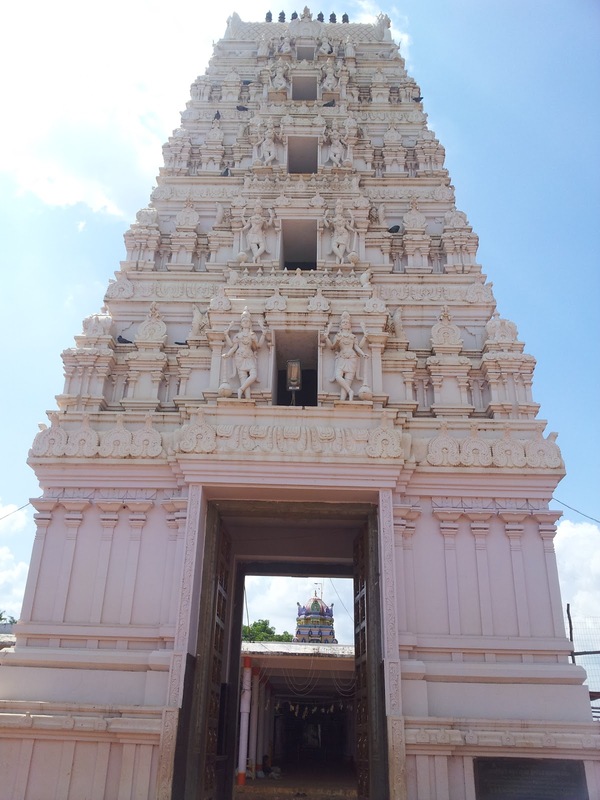 Sri siddi vinayaka temple is at Rejinthal, Zaheerabad, Medak district, Telengana. It is nearer to Hyderabad and is at a distance of 108 kilometers. Zaheerabad was previously called Pedda Ekkheli. It was later named as Zaheerabad by the name of the paigah nawab, Zaheerabad Yar Jung.The idol in the temple is Vinayaka (Lord Ganesha) called as Siddhi Vinayaka. The temple though looks like recently built it has a history of 207 years. The H.H. Shiva Ram Bath Jyoshi of Maharashtra prayed Lord Ganesh in this place while he was on the way to Tirupathi. Pleased with his prayers Lord Ganesha came out of the earth in that place as Siddi Vinayaka. The name siddhi indicates success. People who visit this temple are granted success. Trace it and cut along the outlines. 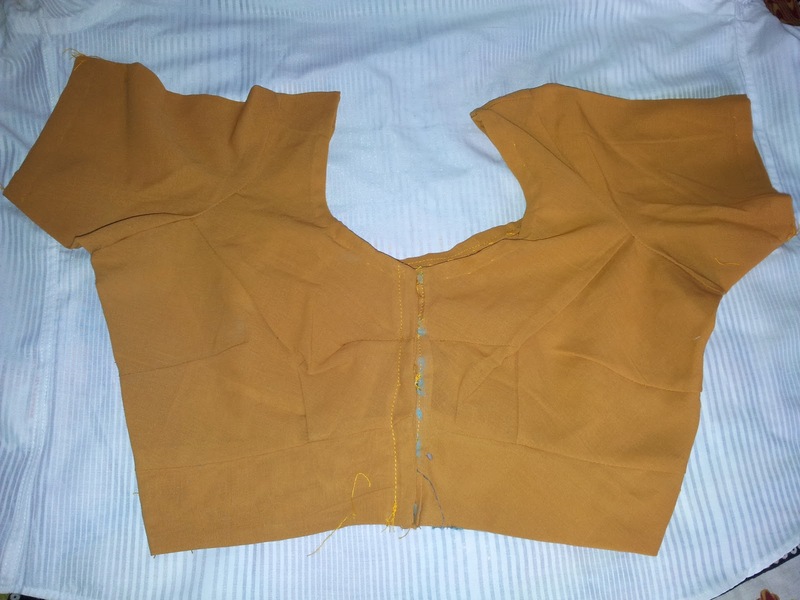 You will get 1 back piece, 2 front pieces, 2 hands, 4 cross belts , hooks and thread pieces. 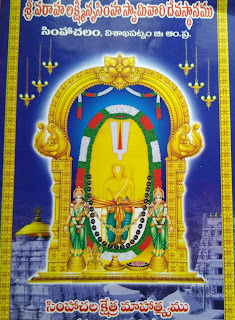 Sri Varaha Lakshmi Narasimha Swamy temple is situated in Simahachalam, 15k ms from Visakhapatnam. The main idol of this temple is Sri Varaha Lakshmi Narasimha Swamy. Lakshmi is the consort of Narasimha Swamy. There are 10 Incarnations of Lord Vishnu. Varaha is the third and Narasimha is the Fourth incarnation. The idol in this temple is the combination of two incarnations of Lord Vishnu.